In 1962, Martin Luther King, Jr. taught his first and only college class, yet innumerable movements have cribbed his syllabus and have taken what they learned into a world that desperately needs it. In the midst of the high-wire tension of the civil rights movement, Martin Luther King, Jr. found time in his relentless schedule in 1962 to offer a semester course on social philosophy at Morehouse College in Atlanta. This was the first and only college class he ever taught, and a recent story about this brief teaching stint illuminates a side to King that rarely gets much attention. As we celebrate the fiftieth anniversary of the March on Washington this week, the media spotlight has predictably focused on the power and ringing rhetorical heights of King’s “I Have a Dream” speech. 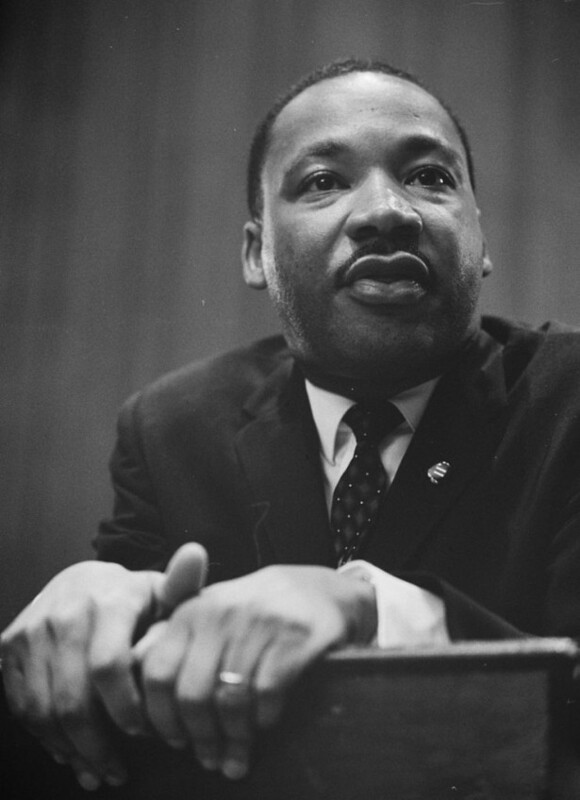 What the students at Morehouse experienced one year before the march, though, was a different King — one who may have as much to teach us today as the thundering speeches he delivered in Montgomery, Birmingham, and at the Lincoln Memorial in Washington a half-century ago. King taught the Morehouse course after moving back to Atlanta from Montgomery to become a co-pastor at Ebenezer Baptist Church. He certainly had a national reputation as the spokesperson of the successful Montgomery bus boycott in the mid-1950s, but he had yet to lead the epochal Birmingham campaign, receive the Nobel Prize, or address 250,000 people on the National Mall. King was not yet an international icon for civil and human rights, and he did not project rock star status in the classroom. What made this class exciting for most of these students was its combination of rigorous study and the opportunity to learn the intricacies of social change — not only from a leader of the Montgomery campaign, but also at a time when many of them were actively involved in the civil rights movement themselves. Virtually every student recalls how voluminous and demanding the reading assignments for the course were, including texts on or from Socrates, Plato, Aristotle, Mill, Rousseau, Hegel, Thoreau, Edgar Brightman (whose theories on personalism had deeply influenced King in graduate school), and Gandhi. But King wasn’t looking for rote regurgitation or superficial agreement about the meaning of these ideas. He instead created an environment where the students grappled with these works and applied their insights to the challenges of creating a democratic, multiracial and nonviolent society. Heavy though the reading was, the course was more than textual analysis. Montgomery was a paradigmatic example of a triumph of people power through which King unpacked and illuminated the vision of nonviolent transformation. At the same time, a flurry of organizing took place in Atlanta that year, including sit-ins at segregated stores. Some of the students helped organize these protests, which King supported as he could. This class on “social philosophy” both nourished, and was nourished by, the concrete challenges and opportunities of living nonviolent action. I’m told that King once said that he wanted to teach in a seminary after he retired from the presidency of the Southern Christian Leadership Conference. Of course, he never got the chance. But it is fascinating to learn that he at least taught this class. By acclamation, his former students say that it had a profound impact on their lives and their vocations. Many went on to become brilliant agents of nonviolent change. But maybe there is more to it than the immediate impact on the few students that enrolled. In December 1962, SCLC and others held a retreat to strategize about the next year’s action campaigns. It was during this planning session that the movement committed itself to bring the struggle in the spring to Birmingham, which, with the repressive measures of Sheriff Eugene “Bull” Connor, was considered the most visibly racist city in the South. The movement’s disciplined nonviolence would dramatically contrast with Birmingham’s glaring violence and, the assembled organizers surmised, spark a moral crisis that could build support for landmark civil rights legislation. In fact, this proved to be the case. It’s impossible to establish definitively that King’s teaching of the Morehouse course had a direct connection to the winter strategy on Birmingham. But it is tempting to think that the opportunity to reflect deeply on the Montgomery movement — and, in turn, to teach, convey and engage with its lessons — may have given King the space to both savor that victory and to contemplate the possibility of another even more far-ranging one. While the chance to teach as a visiting professor might have appealed to his long-dormant academic side — or even, as one student assumes, provided some much needed income — its greatest gift to King may have been the chance to grapple in a safe environment with the possibility of a new campaign, one nourished by great thinkers and by great experience. In addition to the vision and toolbox the course provided the students, it may have provided King with the occasion to mull on what might be next. Perhaps the consummate activist recognized the need for an intellectual and spiritual shift, if only for a semester, to help translate the impossible into the inevitable. Aside from the tangible results that may be traced to this brief, scholarly interlude, even more intriguing may be the image that this story conjures up: King as the world’s teacher. Montgomery in 1955 was not only a city in crisis, it was also a kind of classroom where a different and, ultimately, more effective wisdom was being taught. It was grounded in the unifying power of people refusing to cooperate with their own oppression and, conversely, betting on cooperating with a power that was neither passive nor violent. Birmingham, Selma, Washington, Chicago — these were historic schoolhouses where Gandhian and Kingian lesson plans were improvised and distributed on the wind far and wide. In effect, the whole world has become King’s classroom, where the great ideas of nonviolent change have gotten a hearing and have shaped minds and hearts everywhere for good. This small class at Morehouse College five decades ago was not an anomaly at odds with his real work. It was emblematic of the power of transformative education to foster a movement, but also of a movement to foster transformative education. It was another form of nonviolent action. But it was also a stand-in for the broad movement of human liberation that the civil rights movement helped give new life to. King’s course is still being taught. Innumerable movements and campaigns everywhere have cribbed his syllabus and gotten the class discussion rolling. For half a century people have been taking a seat, taking notes, and taking what they’ve learned into a world that desperately needs it. Great story! What texts did they use? Is there an existing syllabus? I’d love to get a flavor of it, even if much of it would be dated. I agree with Susan! Let’s have a link to that thing! Good job, Ken. Very timely reminder of the role in opening up thought. Imagining a more extended role of a scoop artist back in the early 70’s it seemed clear to me then that opening up lines of communication was critical to get the truth out about the war not being winnable and today we face another one in the M.E. It certainly seems clear we need to raise Rev. Wright up and bring the Pres. back down to his level to get the thinking process for peace working again. Hope others agitate for this to happen. “We call upon white Southern Christians to realize that the treatment of Negroes is a basic spiritual problem. We believe that no legal approach can fully redeem or reconcile man. We urge them in Christ’s name to join the struggle for justice. They, as individuals can begin now . . .